At exactly one week ago, on Tuesday November 9, 2010, The good folks of Cari invited me to the preview screening of the movie "Unstoppable". The storyline of the movie is a very simple one which can be easily summed up in one sentence. It's about a runaway train. Yes. That's just what's it about. LOL. 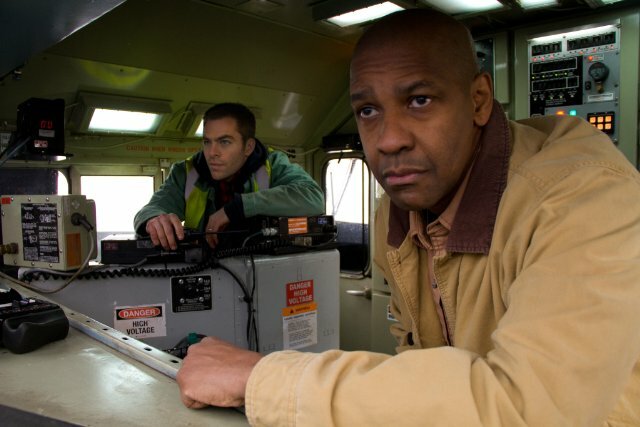 The movie stars Denzel Washington who plays Frank Barnes, a veteran railroad engineer who was forced into early retirement and on his last few weeks of employment is put together with Will Colson, a fresh recruit on his first day of work. The both of them started off with the wrong foot due to Colson being the conductor and Frank being the more experience one, always question Colson's decision and incompetence. 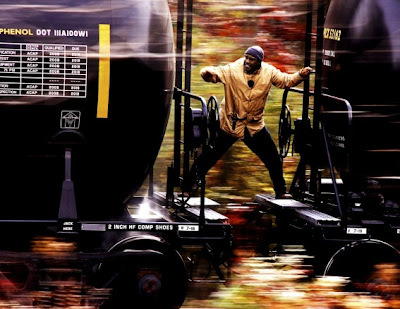 Meanwhile, at the train yard, one of the employees who while in the midst of removing a freight train away from one of the railroad tracks, ignored safety procedures and to his misfortune has allowed the freight train to get away from him unattended. Being a train of enormous size carrying huge amount of hazardous material and traveling at high speed, the train seemed unstoppable. No doubt the plotline was a very simple one and seemed unattractive but to my surprise this turned out to be a really good movie to watch. Probably because it's more closer to reality then all most movies you see and the technical jargons didn't deter me at all. I would rate this movie a 4 out of 5.